Safe Haven takes the worry out of growing older. Our luxury senior living facilities are located in Atlanta, Ga., offering seniors the chance to remain as independent as they are capable of being while receiving assistance in a personal care setting, with the supplementary benefit, when required, of our senior living staff. Safe Haven’s area of expertise is Alzheimer’s, Parkinson’s, diabetes management and other forms of dementia. Family owned and operated, Safe Haven of Atlanta offers a unique combination of personalized supportive senior and elder care service as well as assisted living housing. The trained senior living staff is there to provide compassionate and loving personalized care for elderly parents or friends. We realize that accountability is very important to you and we want to assure you that we will do anything we can to address any concerns you may have. 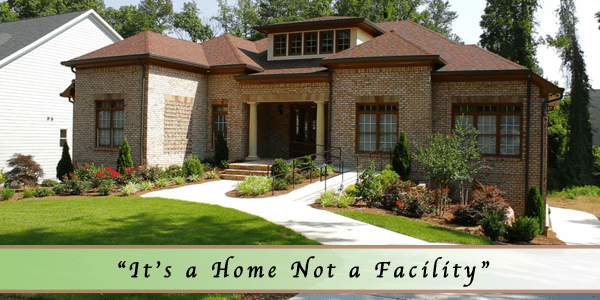 Safe Haven of Atlanta is a loving, concerned, considerate and caring senior living environment, with the goal of enabling senior residents to enjoy the perks of home living without the burdens. Safe Haven of Atlanta encourages independence for its residents and treats each person with dignity while also encouraging the resident’s family members and friends to be involved. Residents meet new friends at Safe Haven and no longer feel isolated or out of the mainstream. Safe Haven’s objective is for their residents to live life to the fullest by socializing and engaging in a variety of activities. Nutrition is important and Safe Haven sees that each resident is provided with three nutritionally-balanced, home-cooked meals daily. The meals are served in the comfort of the community dining room. The main home is located in the heart of Lenox Park in Atlanta, Ga. The dwelling features all the luxuries, amenities and conveniences that are synonymous with Safe Haven’s vision. The main home is surrounded by 25 acres of beautifully landscaped land and two lakes and is just minutes from Phipps Plaza and Lenox Square. The esteemed Buckhead area is conveniently located with easy access to the best shopping, recreational experiences and dining that Atlanta has to offer. Six private Luxury Senior Living suites are available, either furnished or unfurnished, at both of our Atlanta Assisted Living homes. Our second senior living home is in Brookhaven and features the same amenities you and your loved ones expect from Safe Haven Senior Living Homes.